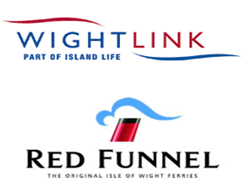 The Wight Holiday Company will be pleased to make your car ferry reservation with both Red Funnel Ferries and Wightlink Ferries at a competitive rate, as an extra to your holiday booking. Please contact us via info@thewightholidaycompany.co.uk for further information on our Isle of Wight ferry crossing packages available. Southampton to East Cowes with Red Funnel Ferries. We will contact you with prices and times of travel.